When your essay is written and completed, it is all too tempting to sit back and relax. However, devoting just a few extra minutes to making certain that nothing has been overlooked will ensure that your essay is polished, professional and in the ideal state to be handed in. 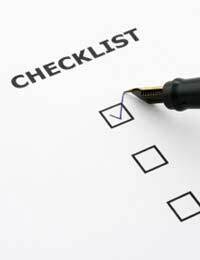 Ask yourself the following questions and mentally tick items off the checklist, as you go. Have you clearly answered the question stated in the essay title? Do you understand all the main concepts raised by the question? Have you used key words from the title? Have you used other terminology that relates to the essay topic? Have you made your position relating to the question clear in your introduction? Have you reasserted your answer in your conclusion? Do you put forward your own argument but also deal with possible alternative stances? Have you supported your answer with appropriate evidence? Is all the evidence you have used reliable and factually correct? Have you explained all your points fully? If they have one, have you consulted and followed your school or college 'Essay Style Guide'? Have you written your work neatly, in a manner that makes it easy for others to read? If you have word processed your work, have you used an appropriate font? Have you printed your work in a font size that is readable? Have you double spaced your essay, if necessary? Have you clearly written your name and form on each page of your essay? Have you stapled multiple pages together or kept them safe in a thin plastic folder? Has each page been carefully numbered? If required, have you included footnotes and a bibliography? if you have quoted from other sources, have you used inverted commas for direct quotes? Have you correctly referenced all sources you have made use of? If necessary, have you filled out a cover sheet or produced a contents page? Have you checked your spelling? Is all your grammar correct? Have you ensured that the punctuation you have used is as it should be? Have you used a variety of sentence types? Have you divided your essay into sensible paragraphs? Do your paragraphs logically link to one another? Is your argument structured effectively? Does your essay flow? Have you used linking, comparing and contrasting words? If you were reading the essay for the first time, would all your points be clearly understood? If there is one, are you within the word count? Have you checked which day your essay is due in? Have you packed in your bag the night before? Have you saved a copy of your work on a memory stick or on your computer's hard drive? Have you sent yourself a copy of your work via email, in case you need to access it at school or college? Whizzing through these questions need not take long and will provide you with peace of mind. When you realise that all the 'boxes' are 'ticked', pat yourself on the back and relax.